This chic top gives so much style with so little effort. 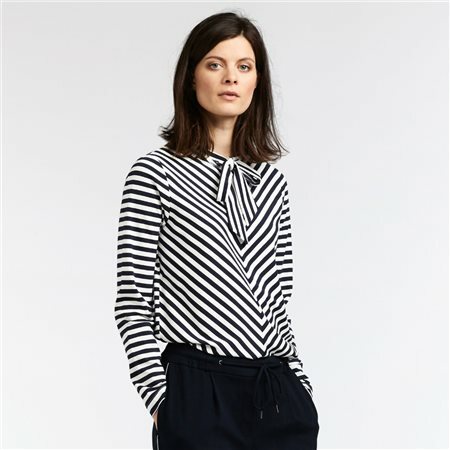 This is a neat fit top with flattering horizontal stripes and long sleeves created with soft touch material. The main feature however is its thick tie neckline which creates a style statement we can’t get enough of.